For some, running without stopping is the stuff of dreams. A 24 hour relay race that crosses mountainous terrain, endless stretches of flat pavement, and doesn’t stop for pouring rain or scorching sun is the realization of this dream. The name of this dream is Ragnar. Named after a ninth century Norse conqueror and king, the Ragnar race is as spirited and intense as the ancient ransacking king. Running consistently for 24 hours straight, confronting your physical limits, and charting an epic adventure is reflected in the history of Ragnar and is embodied in the participants of the race today. The concept of an endurance relay race was forged in the college dorm room by Dan Hill and Tanner Bell to fulfill their dreams of creating a unique, overnight, 24 hour race through the mountains of Utah. In 2004, the first race was held under the name Wasatch Back Relay. This race spanned 188 miles from Logan, Utah to Park City, Utah. Since then, the race has undergone a metamorphosis from a single relay race in Utah to a huge national relay series. Utah coverage simply couldn’t contain it. As the race grew in proportion, so too did the name. A more suiting name was needed for a grand race that spanned an entire nation. Only a name eponymous with conquer and heroic siege would do. Thus, the name Ragnar was assumed. Ragnar claims to give people the freedom to roam, explore, lead, and create an amazing outdoor experience with friends. Connecting people and encouraging a healthier, more active lifestyle is the larger objective of the Ragnar race. Of course, in the short term, people are given an opportunity to forge connections and accomplish a mutual goal as a team rather than as mere individuals. The relay race involves teams of 12 people running 200 miles over the course of two days and one night. There is also a trail version of the race that involves teams of 8 running 120 miles over the course of two days and one night. This may seem like a lot of running, which it is, but the real journey is in the details. The real objective behind a race like this is to give everyone a chance to get outside, be active, and have a meaningful community experience. From novice runners to elite runners with dozens of marathons under their heels, Ragnar aims to equalize relay running. The race is designed to make it possible for everyone to contribute to the team’s progress–no matter how small. From humble beginnings as a small, local relay, Ragnar has taken on legendary status as entire communities of participants are linked through competition. You may have noticed the Ragnar logo stickers on the backs of cars paying homage to the race as a test of endurance, willpower, and a fond remembrance of collective achievement. Today Ragnar races are held in cities across the U.S and embody tests of personal will and group cohesion. 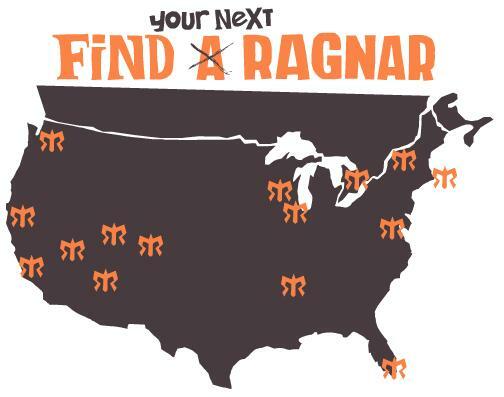 Other rely races are just races—Ragnar is a way of life. Ben Vaughn has written for DKI Canada on topics as diverse as disaster cleanup, contents restoration, home water conservation, and emergency preparedness apps. 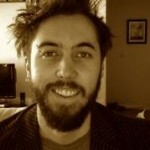 He is passionate about writing, international affairs, travel, and mountaineering among other things.